A product of New York Shipbuilding Corp., Manhattan was launched at Camden, New Jersey, in 1931. Her maiden voyage on 10 August 1932 was from New York to Hamburg with calls at Cobh, Plymouth and Le Havre outbound, and Le Havre, Southampton and Cobh inbound. She remained on this route until World War II began in September 1939. 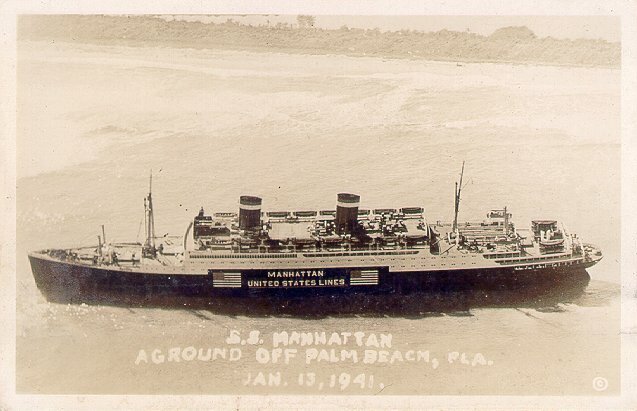 Over the next year and a half, Manhattan was used for cruising and sailed from New York at various times to Le Verdon, Italy, Lisbon and San Francisco. 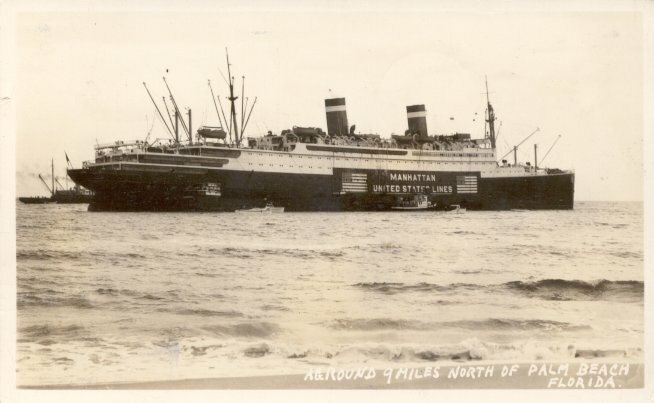 In June 1941, Manhattan entered military service as the Navy transport Wakefield. On 3 September 1942, Wakefield caught fire in the North Atlantic. Although her crew abandoned her, she was later towed to Halifax. After being purchased by the Navy and refitted at the Boston Navy Yard, Wakefield resumed trooping duties in April 1944. After the war, Wakefield was laid up in the Hudson River from May 1946 until May 1964, when she was sold to Union Metals & Alloy for scrapping. She arrived at the breakers in Kearny, New Jersey, in March 1965. 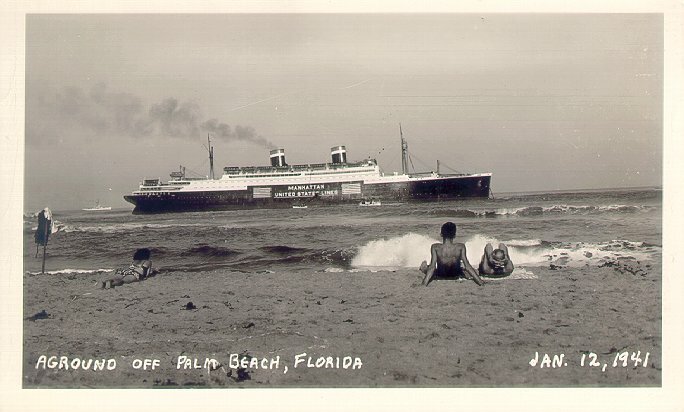 The two images on this page picture Manhattan aground off West Palm Beach, Florida. She was grounded there from 12 January to 3 February 1941, while the United States was still officially uninvolved in World War II. 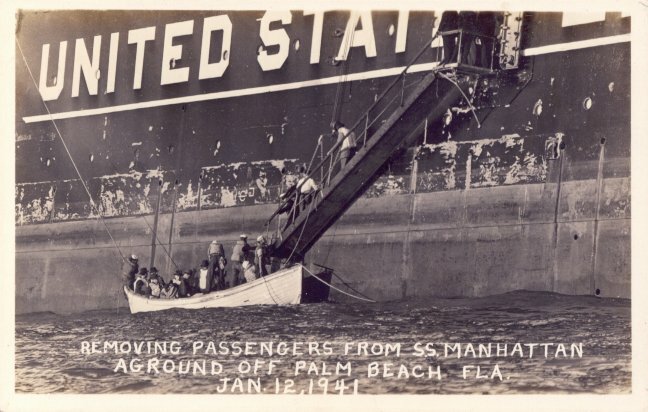 The large signs on the ship, carrying her name, her line's name and the American flag are neutrality markings intended to protect her from attack by any of the participants in the war.